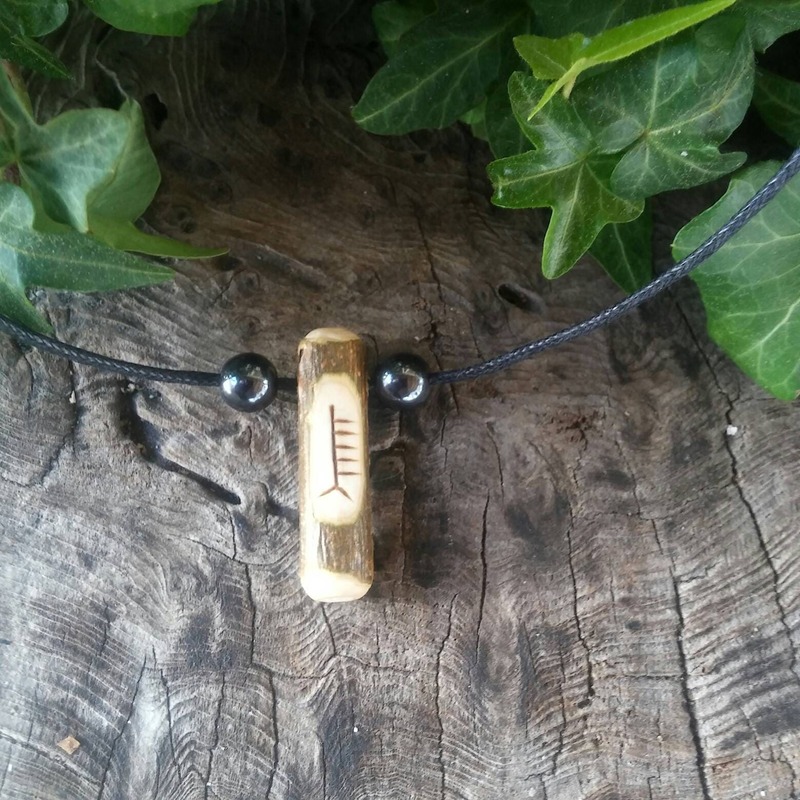 The Ash wood ogham birth pendant is pyrographed with the third consonant and 3rd month of the Ogham alphabet, "Nion". Ash is the birth tree for those born between 18th February and 17th March. 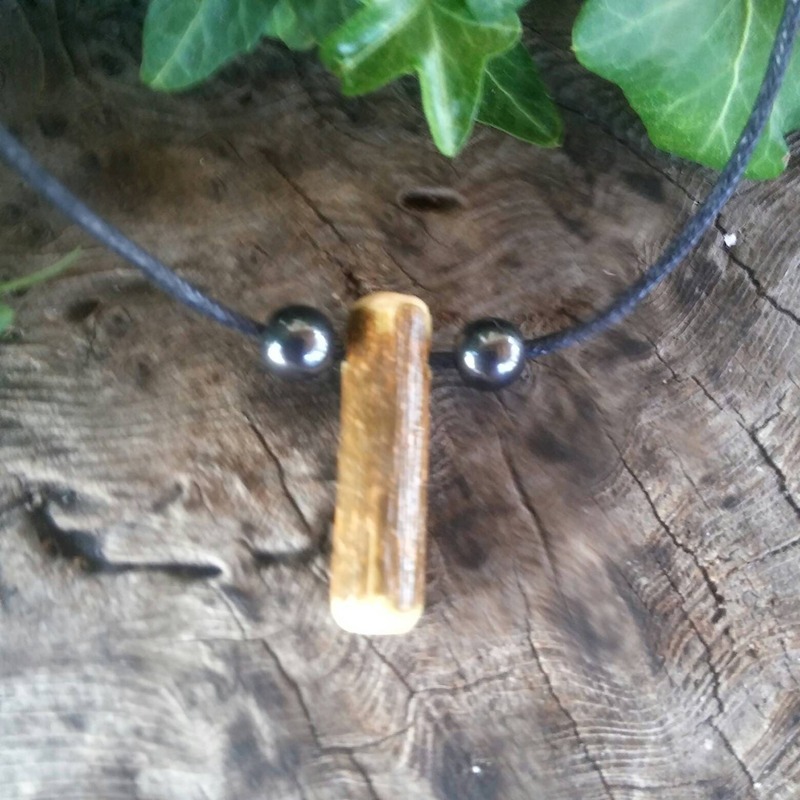 The protection amulet pendant necklace is adjustable with waxed black cord. 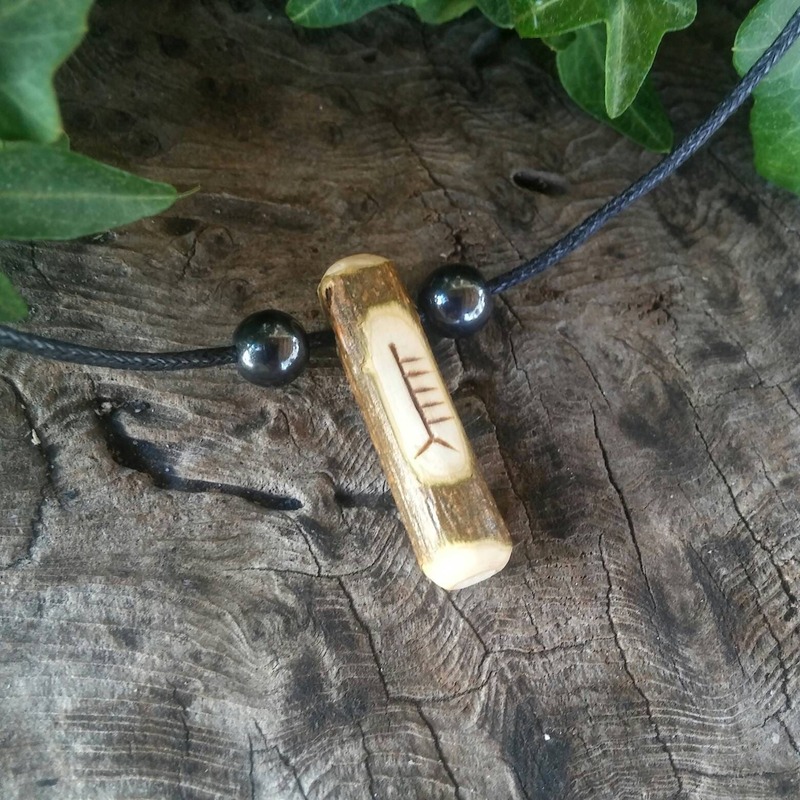 I have added two Haematite [Hematite] beads on either sided of the ogham pendant. The Ogham alphabet is said to be druid and the birth tree calendar is Celtic. 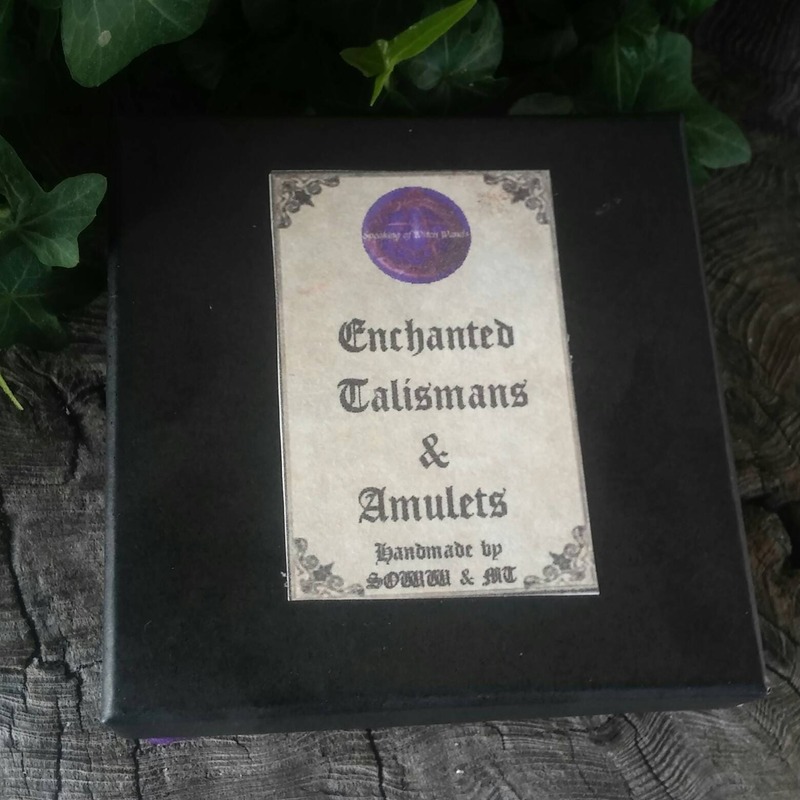 This is a wonderful pagan gift and is a gift for men and a gift for women whether they are into witchcraft or not. 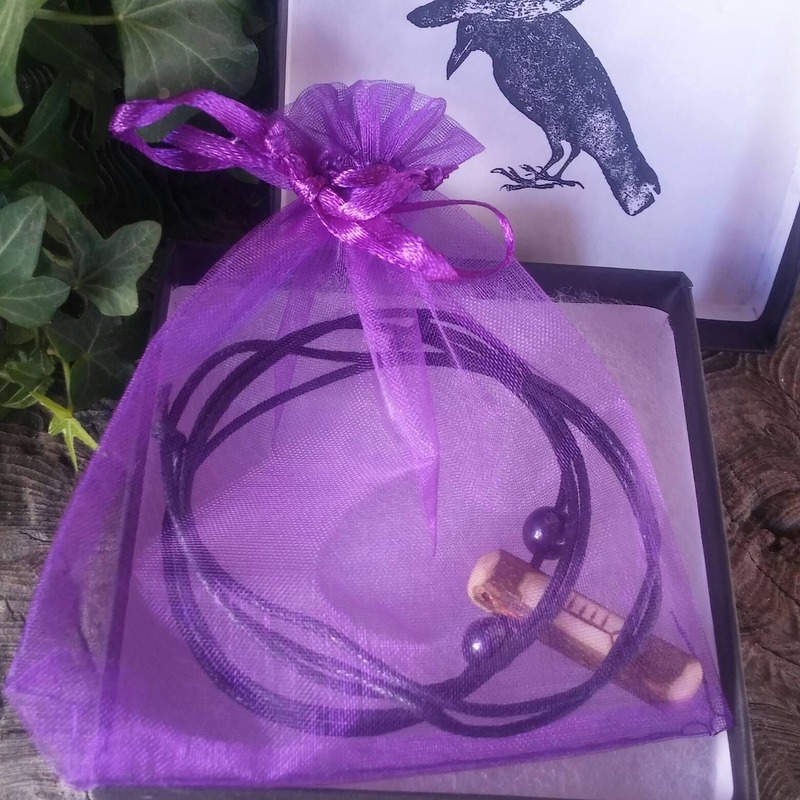 Your birth tree necklace, will come in an organza bag and gift boxed. 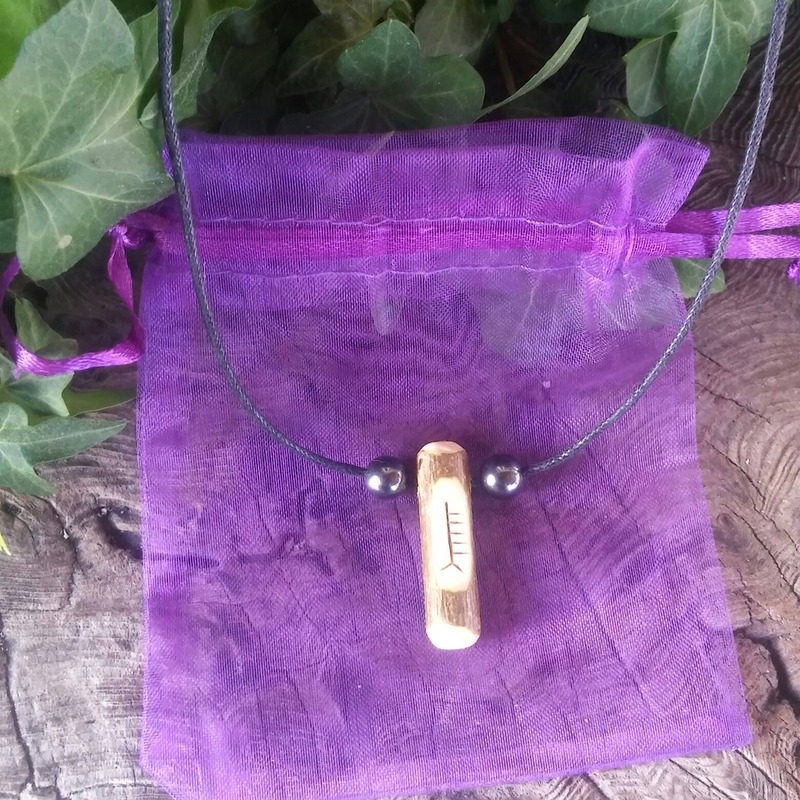 It is a great amulet to give to a friend or loved one whether it is a gift for him or a gift for her, especially if they are inspired by the traditional craft. The Ash tree in Norse mythology is seen as the world tree Yggdrasil or Cosmic Ash. As it spans the Universe it also roots deep into the earth. "Know yourself and you will know the world." This ancient Druid phrase describes to us how we are linked to our world, and how the Ash was seen as spanning the world around us and within each of us.